Since our formation in 1975, the company has always taken a professional view of what is a legally complex and logistically challenging market. This attitude to our business niche has meant that today we can offer comprehensive, integrated and expert solutions towards surveys, risk assessments, asbestos removal, repair, re-instatement and disposal. 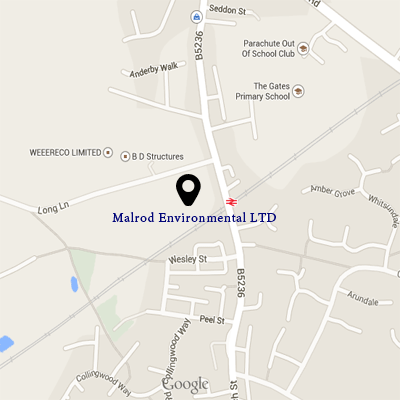 Malrod can deliver an appropriately resources service with fully qualified personnel, the latest equipment and the very highest technical standards of operation and can handle complex fast track projects with speed, care and acute attention to quality control and health and safety requirements, knowledge and expertise to safely manage all your asbestos requirements. The aim of this introduction brochure is to give an insight into our company and its fields of expertise, but it may be that you require more detailed information than provided. If you would like to see detailed documentation, including certificates held, technical data sheets and a comprehensive list of clients, please contact our administration team who shall be more than happy to accommodate your requirements. Our management team are there to help and assist and can act with incredible speed whenever necessary. In our business, speed is sometimes of the essence, but safety is never put in second place, we at Malrod pride ourselves on the fact that safety is paramount. So remember, we’re here when you need us, just a phone call away. We have conducted asbestos surveys, removed asbestos from a number of structures and successfully completed contracts in areas including Wigan, Bury, Oldham, Rochdale, Salford, Bolton, Manchester, Preston, Liverpool, Lancashire, The North West, Scotland, The South East and nationwide.